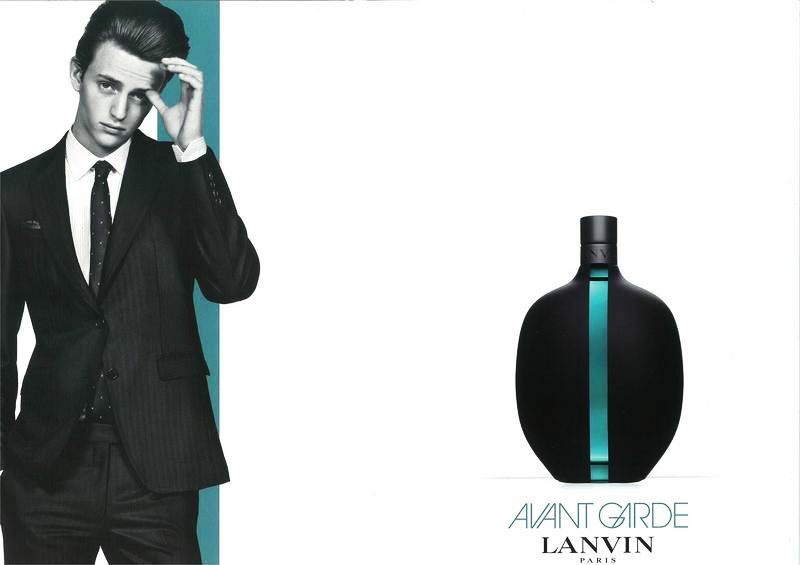 lanvin will be releasing a new fragrance called "avant garde" in november 2011, no doubt to cash in on the christmas/festive season buying crowd. if you think the campaign image look a little like a photoshop cut & paste job, you are not too far off. it appeared that they recycled the fall winter 2010 campaign picture below, do a horizontal flip and added a turquoise blue bar to match the bottle design. hardly "avant garde" is it? licensing fragrance lines adds lucrative revenue to lanvin, but this is also what you get: not much control. and a little bizarre that lanvin cast alex dunstan in their campaign, one of burberry's most noticeable faces. recycled campaign shots, the simple use of the »avant garde« typeface for an "avantgarde" logo and a bit of colour-blocking. what a shame! Wow you are a photoshop expert!! esmeralda: doesn't take a photoshop expert to do that!